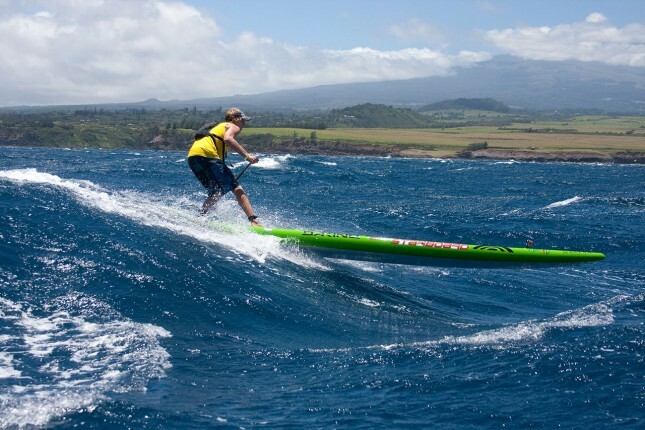 Connor Baxter has won his 4th straight OluKai Ho’olaule’a SUP Race title, claiming a strong victory ahead of Travis Grant, Dave Kalama, Travis Baptiste and Danny Ching on Maui today. Minutes after Connor crossed the line, Andrea Moller triumphed in the women’s race for an extraordinary 7th straight year, further extending the greatest winning streak in the sport of stand up paddling. It was an exceptional effort from Dave Kalama in third considering he’s more than twice the age of most of his rivals. Dave very rarely competes outside of Hawaii but when the wind is blowing and the unlimited boards are firing, Kalama is one of the fastest paddlers in the world. Another huge performance came from young Travis Baptiste. 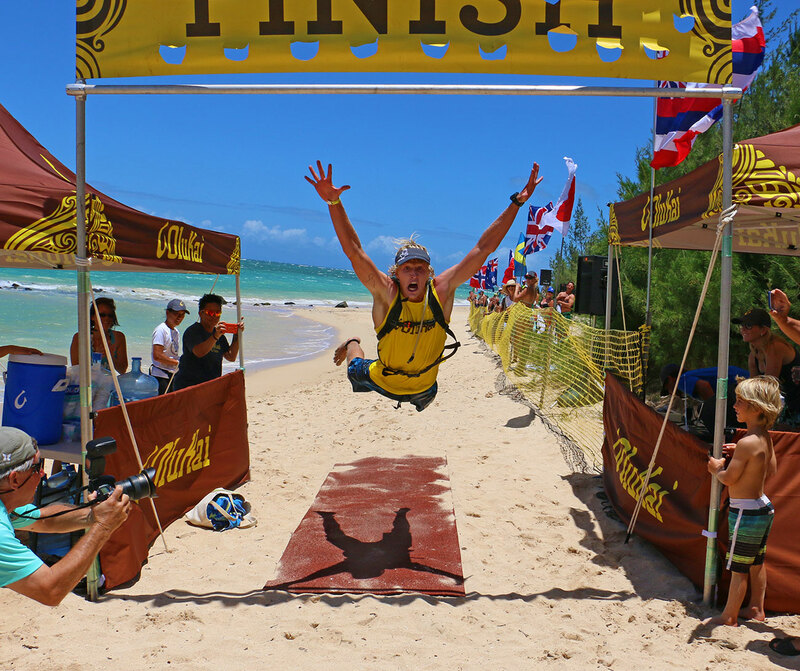 The reigning Molokai stock champ claimed 4th overall, just seconds behind Kalama, despite paddling a 14 footer. Most of the other guys were on 17s or 18s. Baptiste finished just in front of his 404 team mate Danny Ching, who takes 5th place for the second year in a row. Crossing the line just seconds outside the Top 5 were SIC team mates Georges Cronsteadt and Livio Menelau, who paddled the same board as 90% of the rest of the field: The famed SIC Bullet that was born and raised on Maui. Aussie pair Beau O’Brian and Dave Kissane, along with local hero Jeremy Riggs, filled out the Top 10 in a race that attracted a very strong level of competition. Speaking of SIC, it was a clean sweep in the women’s, with the first four ladies paddling the Bullet. Andrea’s win was vintage form, with the Brazilian-turned-Maui-local crossing 2 minutes ahead of her SIC team mate and reigning Molokai champ Sonni Hönscheid, while the supremely under rated local dark horse Kathy Shipman took third. Another downwind specialist was next in Devin Blish, before a very solid Terrene Black from Australia rounded out the top 5 ahead of Fiona Wylde (who was racing stock) and Angie Jackson. 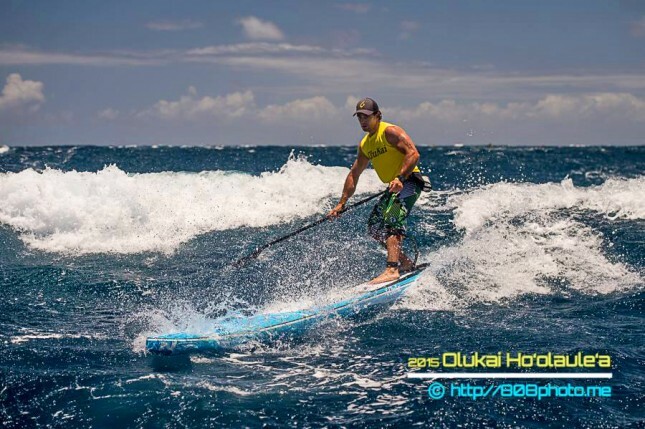 The 7th Annual OluKai Ho’olaule’a saw great conditions and super fast times. The world famous Maliko downwind run was firing as 20 knot winds whipped up plenty of bumps for the 340 starters. From all reports it sounds like OluKai 2015 was another great race, with the Ho’olaule’a title (which means “celebration” in Hawaiian) seeming rather fitting. Apparently there was some confusion at the start, with the horn sounding a few minutes early and some paddlers getting caught back in the pack (sounds like a repeat of last year), but apart from that OluKai has cemented its position as a top-tier event. 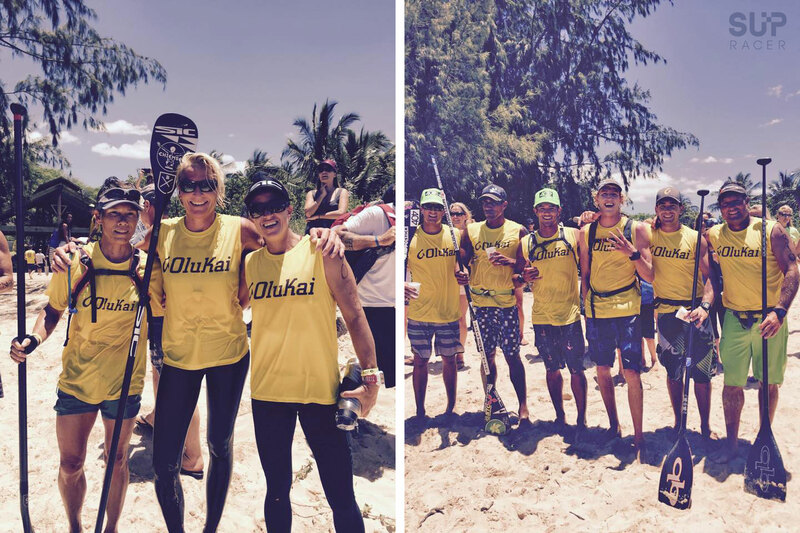 Today’s OluKai race also had a big impact on the SUP Racer World Rankings, particularly on the women’s Top 50 Leaderboard. Andrea Moller jumped +5 to move inside the Top 10 for the first time, while Terrene Black (now ranked #13 in the world), Devin Blish (#15), Kathy Shipman (#20), Rachel Bruntsch (#23) all made very solid gains. Unlucky is Angie Jackson, who, despite a strong showing on an unlimited board she’s barely paddled, drops one spot to world #6 after Sonni’s runner-up performance saw her move into the uber elite Top 5. On the men’s Top 100 Leaderboard there was little movement at the pointy end, however several paddlers made solid gains in the middle and lower order. Dave Kalama, still holding a pair of donuts in his “best 5 results” overall points tally, now sits #23 in the world after jumping a massive 18 spots. Travis Baptiste is knocking on the door of the world’s Top 20 after today’s result bumped him up to position #22. There were also good gains from Matt Nottage, Niuhiti Buillard, Sam Parker and Kenny Kaneko. Check out the updated World Rankings Top 100 Men / Top 50 Women Leaderboards. Oh and here’s some great raw & unedited footage from the Ocean Paddler TV chopper, which shows just how awesome the conditions were for today’s OluKai race (click here to view the full B-roll).